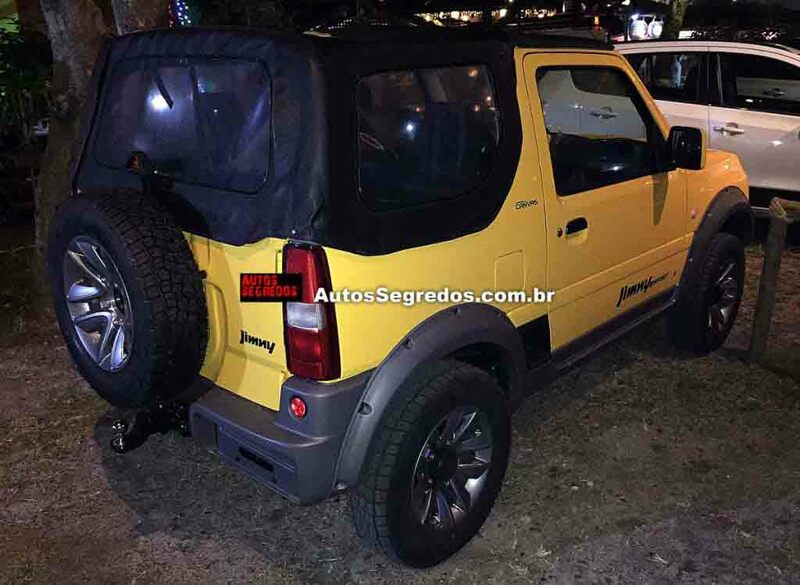 Suzuki Jimny Canvas was showcased at 2016 Sao Paulo Auto Show in November this year. 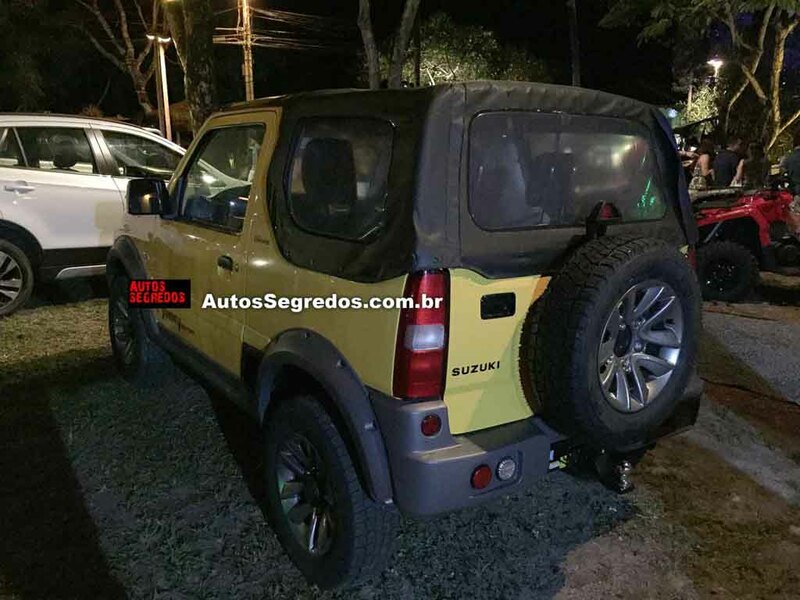 Now the SUV seems to be ready to launch in the Brazilian market, as evident from the spotted example at a dealership in the Latin American country. 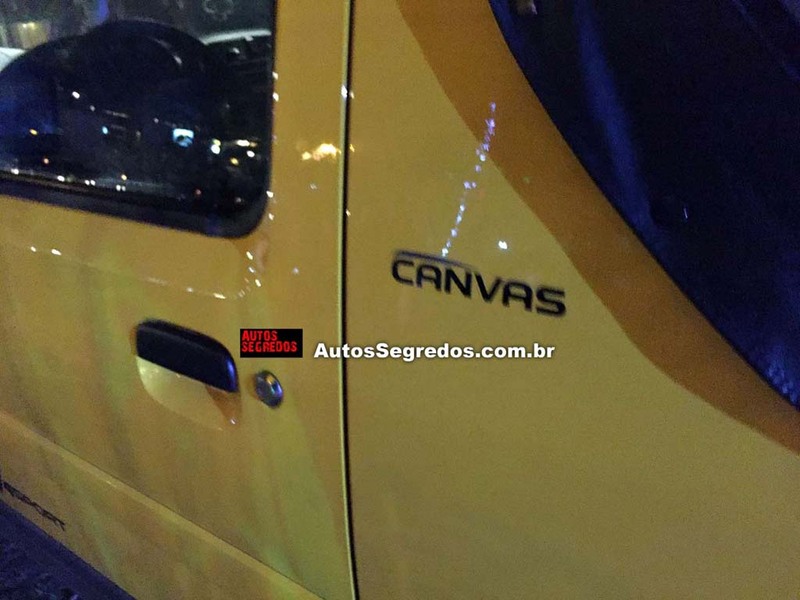 Upon its launch, the Jimny Canvas is expected to be priced R$10,000 (Rs. 2.07 lakh) more expensive over the regular model. The Canvas edition of the Japanese SUV comes sporting some additional features and accessories making it more attractive than the standard model. 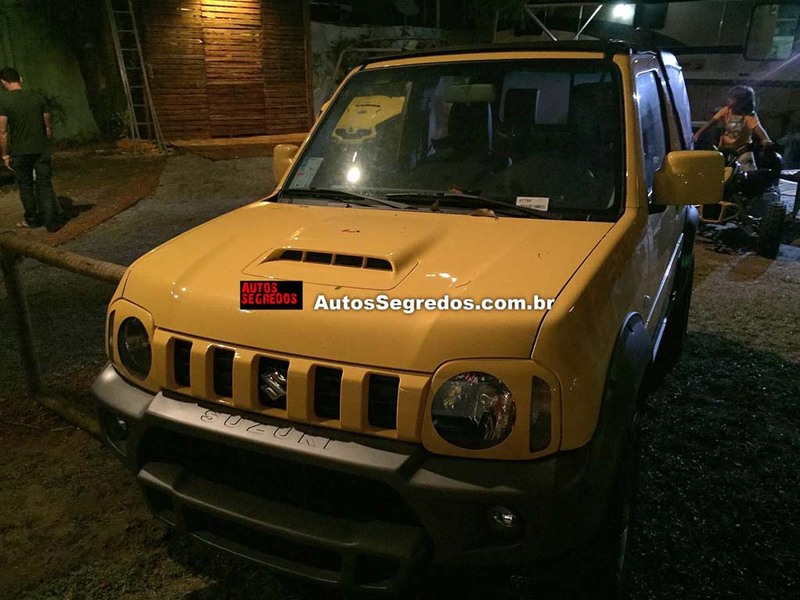 At exterior, the Yellow Rally coloured SUV sports body coloured covering around the round headlamps. 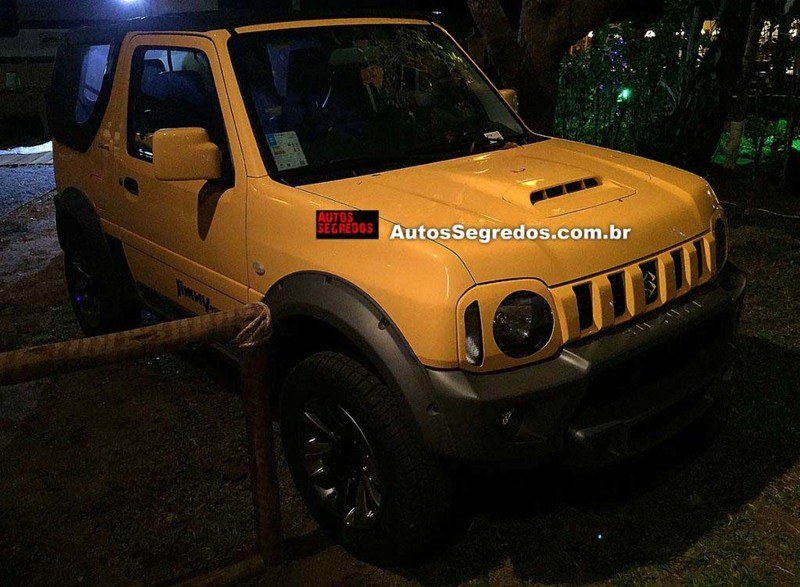 Apart from it, the Canvas gets vertical front grille and a chunky muscular looking front bumper. Side profile of the car features black cladding on wheel arches and lower side body along with the 15-inch black alloy wheels. These altogether make the car pretty bold looking. 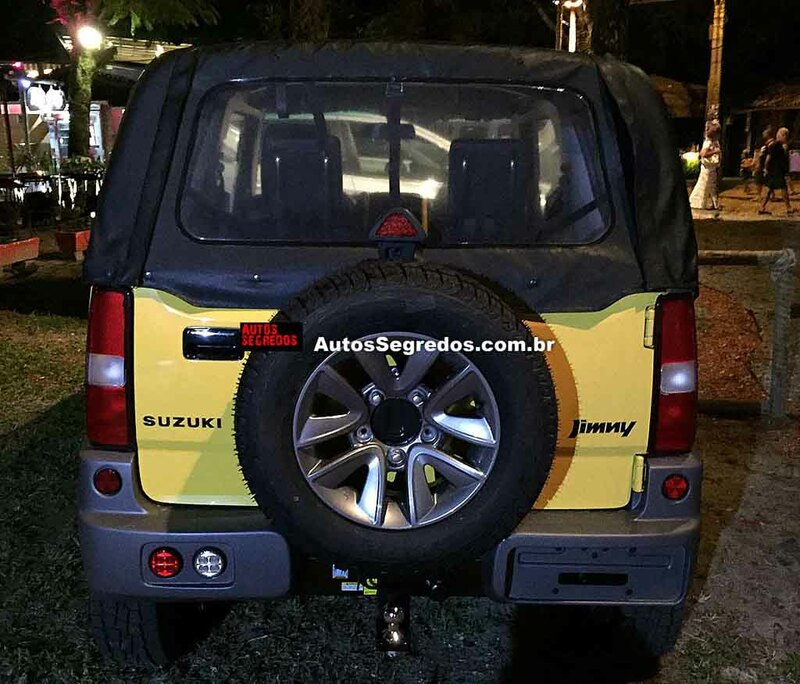 Rear fascia of Suzuki Jimny Canvas comes with vertically positioned tail lights, fog lamps, muscular black bumper and spare wheel attached to the tailgate. 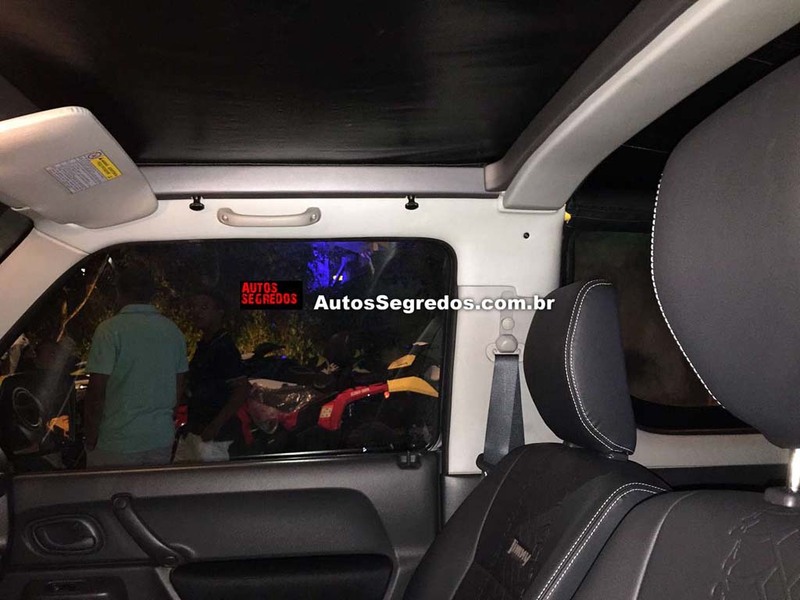 The SUV spotted in Brazil gets a Black soft top. 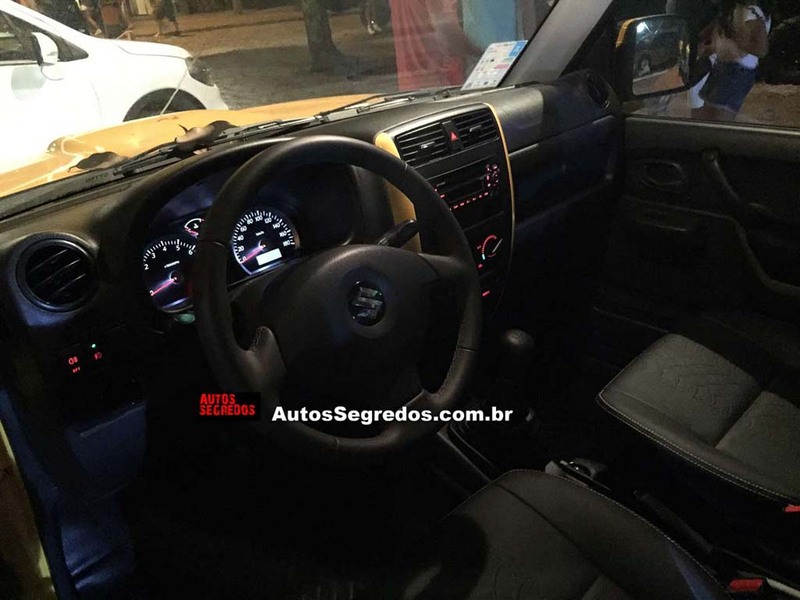 Inside the cabin, the Suzuki Jimny Canvas arrives with features like leather wrapped three-spoke power-assisted steering wheel, body coloured dashboard, music player with Bluetooth connectivity, keyless entry, armrests on doors, rear glass defogger, power window etc. The SUV will be available in a range of colour options, which are – Alpine White, Rhodium Silver, Orange Fun, Yellow Rally, Monaco Red, Amazon Green, Pacifico Azul, Onix Black and Beje Jizan. 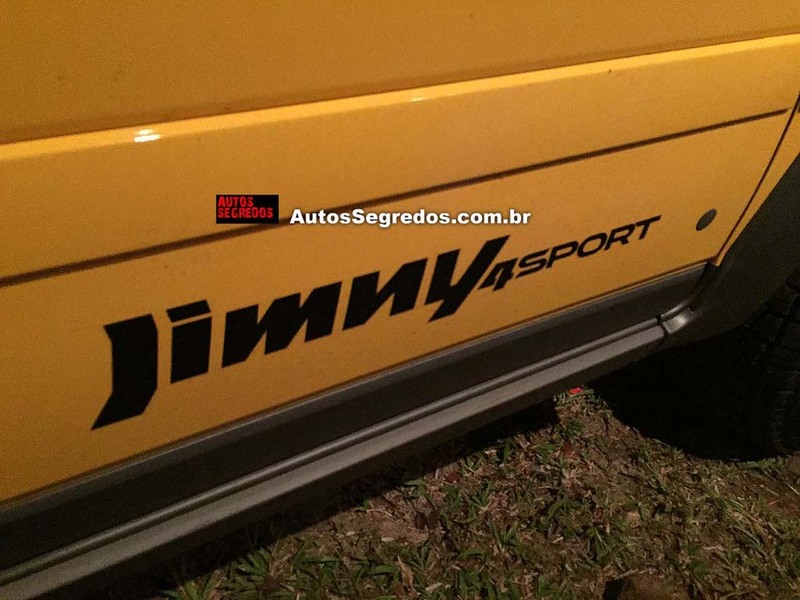 Power source for the Suzuki Jimny Canvas is a 1.3-litre petrol engine 95 hp of peak power at 6,000 rpm and 110 Nm of peak torque at 4,100 rpm. Transmission duty should be done by a five-speed manual gearbox. The Jimny Canvas will be available in two different variants, 4ALL and 4SPORT.